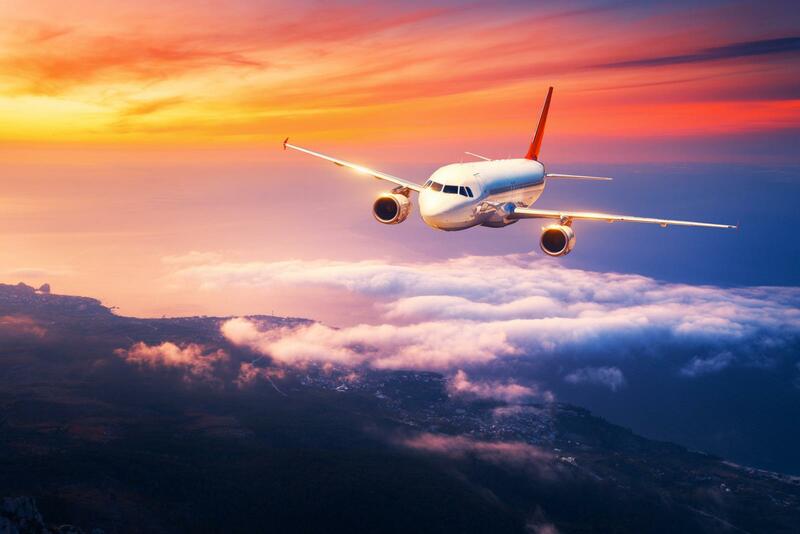 Bereavement airfares (also known as compassionate airfares) are given to family members who need to fly to the funeral of a loved one or to visit one who is gravely ill. Proof of death or illness, as well as kinship is usually needed to receive the discounted fare, which in most cases is 50 percent of the price of a last-minute ticket. Have a friend or other family member help book the flight. Because of the emotional aspect of purchasing this ticket, you need to spend your time packing and getting ready to leave. They are not always the cheapest fare, but they can be purchased at any time, even right up to the time the plane departs. Each airline has its own discount, so it may not always be half-off. If you need to change planes and carriers throughout your journey, you will need to purchase a bereavement fare ticket for each leg of your flight, but only if you switch airlines. Compassionate fares tend to be more flexible, allowing free tickets changes and stays of up to 30 days with no minimum requirement. Depending on which airline you choose, your discount may be refunded until after you complete your round-trip travel; inquire about maximum stays. Bereavement fares are not always available on international flights. It is easier to book your flight in-person or on the phone, especially if you need to provide specific information regarding the illness or death. Air Canada will provide reduced bereavement fares for immediate family members. Alaska Airlines bereavement fare is a 10% discount on airfare for the immediate family. Delta Airlines offers a bereavement fare policy. The fares may vary in price but allows flexibility with booking in order to accommodate these unfortunate, unexpected, emergency travel plans. Hawaiian Airlines offers bereavement fares only for neighbor island travel between the Hawaiian Islands. Lufthansa Airlines offers special fares if immediate family members need to travel due to a death abroad. WestJet Airlines provides bereavement fares and offers maximum booking flexibility with no fees. Air Canada offers reduced bereavement fares. This will apply to any flights operated by Air Canada, Air Canada Rouge and Air Canada Express. The policy will apply to bereavement travel that occurs within 10 days of booking. Alaska Airlines bereavement fare is a 10% discount off the lowest airfare available. This will apply to travel that occurs within seven days of booking. You must be a member of the free Mileage Plan Program to receive the special fares but you can join immediately and receive the discount. You also must purchase the airfare by phone. Delta Airlines offers a bereavement fare policy which provides flexibility for your outbound and return flights but the fares will vary in price. You must call Delta reservations when booking these flights so the bereavement policy can be applied accordingly. These tickets are subject to availability. It is also recommended that you check the website for possible lower fares. Lufthansa Airlines offers bereavement fares for outbound and return flights to immediate family if their travel begins in the U.S. or Canada. It is recommended that you call Lufthansa reservations for more information and to make the booking. Even though these airlines don't offer bereavement fares, they may offer flexibility when scheduling your trip due to the circumstances. Research is key here when looking for a bereavement fare. You may find a normal fare on another airline that is lower than the bereavement fare that you are being offered. Ask questions and don't forget to read the small print -- rules and restrictions that will apply.